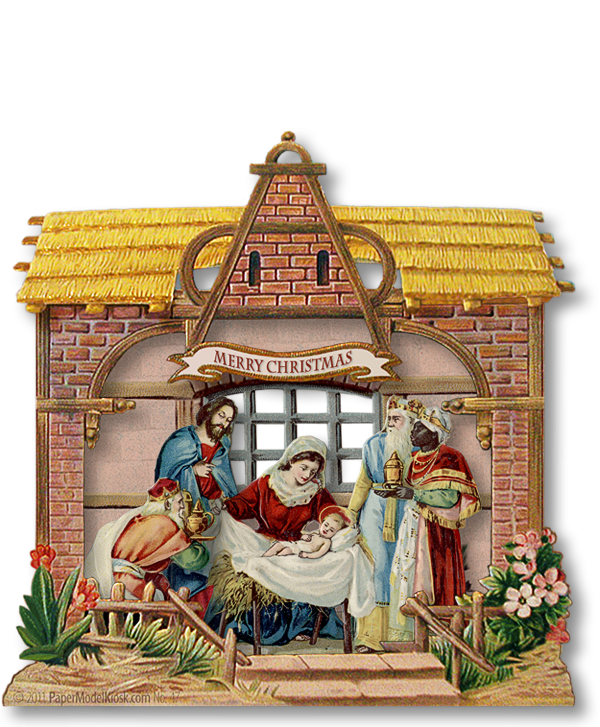 A schoolhouse-like manger houses the superbly drawn Nativity. The Heureux Noël Miniature Nativity decorates a wire-and-beads Miniature Crèche Tree. 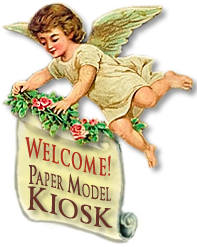 You'll love creating the delightful Heureux Noël Miniature Nativity with this quality-printed 8.5 x 11 heavyweight sheet. And you'll also love having the Premium Download PDF to print it again and again. I've fallen in love with these miniature nativities, and I've been cutting and pasting.My Miniature Crèche Tree (shown at left) is ladden with miniature nativities with the Heureux Noël front and center. Named for the French greeting of the vintage original, the Crèchemania Premium Download & Printed Sheet features "Merry Christmas." And, for our Francophone friends, I've made sure to include the original "Heureux Noël" greeting as well. A glorious quality-printed 8.5 x 11 sheet and a Premium Download PDF file — to be printed on 8.5 x 11 paper — with complete, step-by-step, instructions. Size: 3.5 x 0.75 x 3.5 inches.